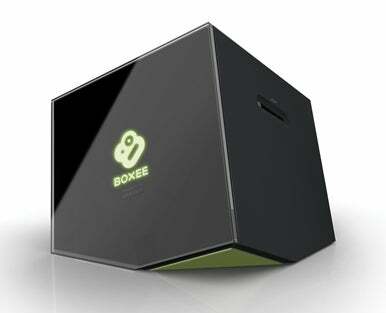 On Monday D-Link and Boxee announced the Boxee Box, a set-top device for enjoying local and streaming video content, at an event in Brooklyn that also demoed a beta version of the Boxee application. The Boxee Box connects to your TV using an HDMI port, and offers optical digital and composite analog audio for sending audio to a stereo receiver or other device. The back also has two USB 2.0 ports, an SD card slot, and an Ethernet port (it also has built-in 802.11n wireless networking). D-Link says that it hasn’t determined a price yet, but that the Boxee Box should be available in the first half of 2010.